I like it best when my husband's face is smooth shaven. Since he is a teacher, sometimes he likes to go a few days between shaving. Well, my husband is 1/2 Mexican, 1/4 Italian and 1/4 Irish. He is a very hairy guy and in 3 days, he basically has a full beard. My family and I joke to him that he has a "5 o'clock" shadow an hour after he shaves and by 5 o'clock, has a full beard. He loves to joke with me telling me that he is going to grow a full beard and stop shaving. For example, before our maternity pictures that we took at my parent's farm, he joked that he refused to shave and was going to be fully hairy for the pictures. He loves to mess with me! Anyways, I think that Troy looks the best when he is clean shaven. I think that he looks really great like that and he knows that I like that so if we are going on a date, he will usually shave. With having more facial hair, the kind of razor that he uses is super important. Cheap razors do not do the trick. He has not had success with other major brands. Troy prefers any quality razor from Gillette to shave. He also loves this brand of shaving cream and aftershave products. He also can get razor burn pretty badly so always has to take his time shaving with these quality products- it is really quite an ordeal! The kind of razor that Troy usually prefers is the Gillette Fusion Proglide. It is a quality razor that gives a close shave and works very well. It gives him the least amount of razor burn compared to other brands. 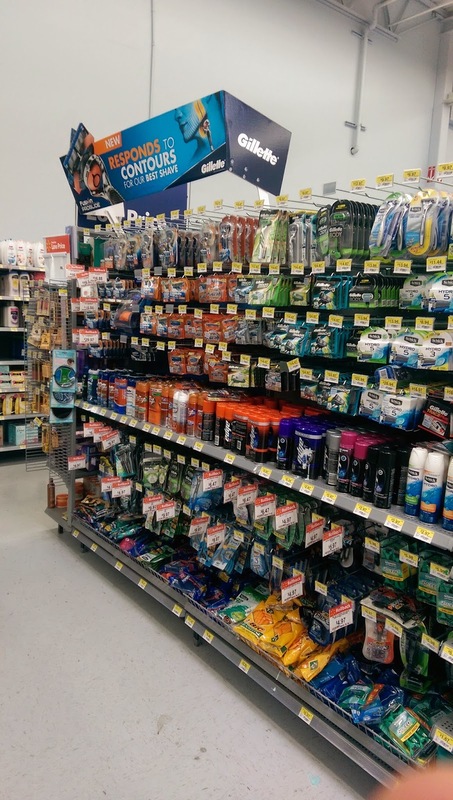 When I told my husband that I was chosen for this campaign, he was very excited to try the Gillette Flexball Razor as he had not tried this kind before. We were able to pick it up at our local Walmart. My husband tried out this razor and really liked it. It gave him a close, clean and smooth shave. He said that he did not notice too much movement of the flexball during shaving but thought that it was a quality razor. For more clean faces, check out this Pinterest board.